Former F-150 Marketing Manager Mark Grueber, and Ford Racing Trucks, Off-Road and Grassroots lead Cliff Irey talk about the next step in the EcoBoost Endurance Challenge. Next week, Ford will enter a 2011 Ford F-150, powered by an EcoBoost engine, to take on the demanding Short Course Off Road Enterprises Baja 1000 long-distance, desert endurance race, marking the Ford EcoBoost engine racing debut. Ford will equip the F-150 off-road race truck with the same stock EcoBoost engine that already has experienced 150,000 equivalent miles of dyno testing and other real-world tests as the final step in the durability torture tests in the EcoBoost Endurance Challenge. IS THERE A MORE DEMANDING RACE ON THE PLANET THAN BAJA? "In North America, Baja is probably one of the most demanding. The race changes from year to year. Every third year, the Baja race gets more challenging because the race starts in Ensenada and finishes in La Paz, which is a little over 1,000 miles depending on how the course is routed and those are pretty tough miles. Inside the United States there are a couple of races that are arguably tougher, but they are not as long." CAN YOU DESCRIBE THE CONDITIONS THAT AN OFF-ROAD TRUCK DRIVER HAS TO ENDURE IN THE BAJA TRUCK? "Part of what makes off-road racing unique are the conditions that an off-road driver has to overcome. It's a true match of the driver and the machine where the conditions one time could be driving across a dry lake bed where it's hard packed and the vehicle could go wide- open at maximum vehicle speed and right around the corner could be a really tough river bed, or rocks or sand that they have to work their way through, and those go over very low vehicle speed. The average speed at the end of most off-road races is about 40 mph for some of the fast trucks. We think that the EcoBoost truck will average about 33 mph, which is pretty outstanding in itself. That will going through a whole lot of tough conditions and we will be able to pass a fuel stop or two. THIS ISN'T THE FIRST TIME FORD HAS USED BAJA AS A TEST FOR A PRODUCT. TWO YEARS AGO THE RAPTOR MADE ITS DEBUT THERE. "There's a lot of learning that Ford achieves through off-road racing. It can be a new product that we're testing. It can be a new part that we're testing, and every now and then those pieces and those parts come together and we get some good notoriety and good publicity. The best known off-road race in North America is the Baja 1000. When you go down to Baja with a product that you want to prove, and you finish the Baja 1000, and you compete well in the Baja 1000, which plays very well throughout the country." FORD HAS A RICH OFF ROAD TRUCK HISTORY AND BAJA IS THE CROWN JEWEL.. "Ford has won the Baja a record 13 times, and I think this year will probably make it 14 with the great competition that we have out there, the great competitors. We learn a lot every time we go down. We learn when we drive in Baja. We learn when we drive from Vegas to Reno. We learn when we put the trucks in tough competition. The reality of off-road racing is that it's probably an abnormal test mode. The average customer isn't going to take their truck and go and drive it in the Baja 1000, but in the course of 100,000 miles of the truck's life, it might see those conditions all cumulative. When we learn, we communicate it back to the engineering team in case there's a chance that they can make the customer's next Ford F-150 even better." 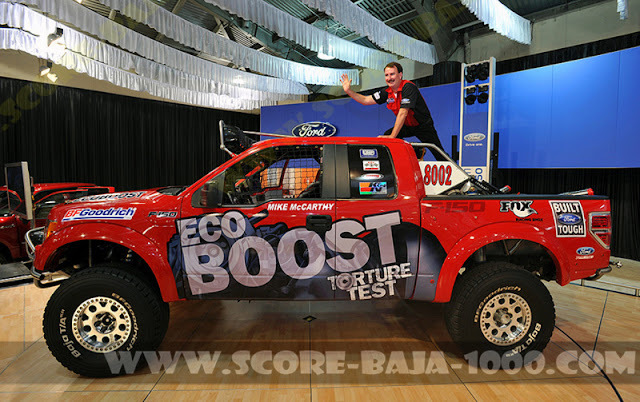 BESIDES THE ECOBOOST ENTRIES OF MIKE MCCARTHY OR RANDY MERRITT, WHAT OTHER FORD ENTRIES ARE IN THE BAJA 1000? All of the entries in the Baja 1000 are privateers. Ford has given a little bit of engine help to Randy Merritt and Mike McCarthy, but even those entries are privateer entries. Ford gets a great proportion of the entries in off-road racing because the drivers and teams like to finish races and the Ford heritage helps them do that. 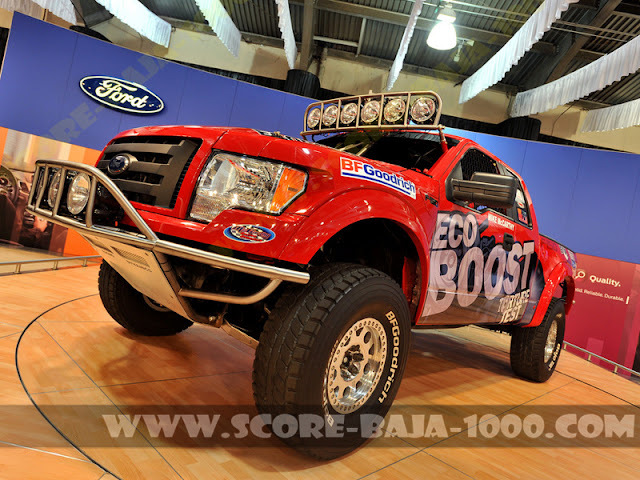 We will probably have between 50-60 Ford entries in the Baja 1000 that are Ford badged in one way or another." HOW COMMON IS IT FOR A PRODUCTION TRUCK ENGINE TO BE ENTERED IN THE BAJA 1000? "It is very unusual for a production engine and its production trim to be competing in the Baja 1000. We think that it gives Ford somewhat of an advantage because we will have reliability, we'll have good mileage, we'll have outstanding performance in a couple of chassis that we already know about. The Ford F-150 is the best selling truck in North America and going down to Mexico is a way we can communicate that to the average customer." HOW MANY MILES ARE TYPICALLY ON AN ENGINE TO BE ENTERED IN THE BAJA 1000? "Everybody wants to go to Baja with their latest and greatest engine, so they're typically they are brand-new fresh racing engines just off the dynamometer where they run for four or five hours for break-in." WITH THE ECOBOOST ENGINE, IT'S BEEN THROUGH A LOT ALREADY THROUGH THIS ENDURANCE CHALLENGE. WHAT ARE YOU HOPING TO GET OUT OF THIS WITH THE ENGINE BEING IN ONE OF THE TRUCKS FOR THE BAJA 1000? "We think that the EcoBoost engine running in Baja is the perfect marriage. It's a tough race, it's a difficult race, you have to pay attention every second through day and night because you're driving 1,000 miles off-road, one shot, no stops unless you need fuel, but there's just one shot. It's just one night. So what it is, is a great opportunity to get the engine running, get it up to temperature and just drive. We think that it's a great opportunity to prove the engine, prove the mechanical stuff that goes along with it and get some mileage while we're going. Part of pit stops is getting into the pit, getting back out of the pit. With EcoBoost we're going to get a little better mileage than the average guy, so that could save us minutes, which at the end of a 32-33 hour race it could make the difference." WHAT MODIFICATIONS ARE TYTPICALLY MADE TO AN ENGINE FOR BAJA? "For Baja, the changes are different based on the racing class and there are 11 or 12 different racing classes that could use Ford powertrains. For the durability, the reliability in the stock-type vehicles, the engine changes seem to be modest. They change pistons, they change cylinder heads, they might change cam shafts. In the unlimited classes, those guys are going for bear. They have the Ford Racing cylinder heads, they have the Ford Racing engine blocks, they have the new cranks, and they are loaded for bear. They are 700 plus horsepower and they are ready to run." CAN YOU TALK A BIT ABOUT THE ECOBOOST ENDURANCE CHALLENGE AND ALL THIS ENGINE HAS GONE THROUGH? "Well I didn't go to the initial meeting, and what came out of that meeting the discussion was wouldn't it be great for this engine to go through an incredible torture test before it gets to Baja. There was a EcoBoost engine Baja effort already in place for a couple of new engines, and adding in the durability challenges, and the torture test just made a lot of sense. I wasn't in the meeting where the decision was made to go, but quite frankly I supported it from the minute I heard about it. The engine has already proven itself by getting through the dyno test, getting through the log hauling, getting through round the clock run at Homestead and getting through Davis Dam. I saw the engine last week in the truck and it looks brand new from the outside. I'm sure the inside has done a lot of work, but you would never know it. Going down and racing in Mexico, going off-roading, is an awesome way to show this engine off." IF THIS ENGINE MAKES IT THROUGH BAJA, WHAT DOES THAT MEAN FOR FORD? WHAT DOES THAT MEAN FOR THIS ENGINE? "I think the fact that we've made it this far demonstrates that the engine is so tough, so durable. It does all of the things that the customer might want to do with their truck throughout its life. Going down to Baja is just icing on the cake. If we get through this race it's just a wonderful demonstration that the engine is even tougher than anybody would ever predict. We've talked to a couple of race teams that have heard about the EcoBoost Endurance Challenge test and first off they are just thrilled that we are using their forum to demonstrate the engine. Secondly, they are just impressed that we've got this far. We're going to have a lot of people down there cheering for us." TELL US ABOUT THE F-150 ECOBOOST ENDURANCE CHALLENGE. "We have an F-150 EcoBoost torture test which is a new idea that we are using to prove out the durability that went into the new EcoBoost truck engine for the F-150. Basically we took a random engine off of our Cleveland engine plant assembly line, dropped it into an F-150 and put it through a series of extreme real world tests. The first test we did was to take it to the Northwest and haul timber, showing the low end torque of the truck and the EcoBoost engine. Then it was down in the other side of the country in Homestead, near Miami, and it was towing an 11,300-pound trailer for 24 hours, at top-speed, reaching speeds pushing 100 miles per hour. It was a continuous test, showing the best in class towing capability and durability of the engine. The next step we took, and again this is the same engine going through all these tests, we took it out to Davis Dam and put it through towing exercises up Davis Dam to show the low end power and towing capability of the EcoBoost engine. Finally, we took the engine out of the truck and are putting it in a race truck and taking it to the Baja 1000 and we are going to race that same engine that has been through all that abuse in the Baja 1000 to prove the durability in the extreme test of Baja." "Baja is something that Ford has a long history in. We have the most championships, 13, down there racing Ford engines. It is seen by most customers and truck enthusiasts as the most extreme real world test that we could find for the truck and for the EcoBoost engine. It is a great test. You get to test the truck in severe conditions, big climate changes; the actual road itself will really test the engine at low and high speed applications. Last year, only about 40-percent of the vehicles finished the race itself. Here we have an engine that has been through the equivalent of over 10 years of abuse and we are going to put it down in the Baja 1000 with a completely stock engine." DESCRIBE THE NORMAL ENDURANCE TESTING A F-150 ECOBOOST ENGINE WOULD GO THROUGH. "Typically all of our engines, before they are certified as Built Ford Tough, they go through both real world testing and Dyno lab testing. In the Dyno lab, they go through the equivalent of 150,000 real world miles of testing. The test has many components to it, one of which is a thermal test where they have over a 200-degree temperature change over and over to test the engine under stress. They also run the engine at full throttle at several hours in a row. Basically, they will put on 150,000 equivalent miles or roughly 10 years of use. All engines go through that testing and some real world testing that our engineers put them through. All trying to replicate what the toughest of our tough customers will put it through so that when we deliver it to our customers they know it has been Built Ford Tough." IS THAT IS THE SAME TEST THAT THIS ECOBOOST ENGINE HAS GONE THROUGH? "Yes, this EcoBoost engine that we have for this torture test, the first thing it did was go through a series of those tests, putting 150,000 equivalent miles on it. It went through running a full throttle, the thermal testing and then it was dropped in the truck for the series of other tests that it went through." WHAT DO YOU HOPE TO LEARN FROM THE F-150 ECOBOOST ENDURANCE CHALLENGE? "We hope to get a lot of good engineering information out of the tests. A real critical part is when we take the engine out of the race truck after the Baja 1000 and our engineers will tear it apart to see the success of the engine. We will see if there are any areas they want to look at further, any areas of concern or areas that met all the specs that they wanted it to. A key part of this test is to go back, look at this engine, see how it performs and see what changes, if any, need to be made to make sure these engines are bulletproof for our customers." WHAT HAS BEEN THE DRIVER FEEDBACK? 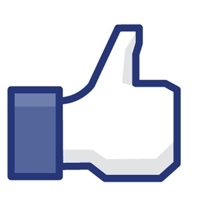 "We have gotten some great feedback. Initially, we got some good feedback internally where some people were kind of scratching their head and asking if we were really going to subject one engine to all these extreme tests. A lot of people were a little nervous about it because this isn't something that they normally test for. Some of the driver feedback we have gotten is that they are simply amazed at the EcoBoost, a 3.5L engine in this truck can do so much, is so powerful and so tough. The loggers up in the Northwest were really impressed with its power. At NASCAR, they couldn't believe that we had a truck towing 11,000 pounds going for 24 hours in a row and pushing speeds of 100 miles per hour. I think when we get to Baja and have a stock engine with basically 10 years of abuse on it and we are going to race that, it will be a deal where people are scratching their head and amazed at how tough this engine is." WHEN THE F-150 TEAM HEARD ABOUT THIS ENDOURANCE CHALLENGE, WHAT WAS THEIR REACTION? "We had a lot of great support from the engineers, but they certainly were a little bit concerned and asked some questions. One of the engineers said, 'Hey, I don't even need a truck, but if this EcoBoost passes all these tests I am going to buy one just because I am that impressed with this engine.' In general, the engineers know these are real extreme tests that are above and beyond what a customer would subject their truck to. Nobody is going to go run 24 hours in a row towing a 11,300 pound trailer. They aren't going to race their truck in Baja. These are things that are so over the top that I think our engineers understand that this is way above and beyond what any real world customer could subject the engine to. At the same point, they are looking forward to the challenge." IN YOUR PERSONAL OPINION, WHAT HAS BEEN THE MOST INTERESTING CHALLENGE FOR THE ENGINE? "To me, the Dyno test is something that all our engines go through, but is the one that is the most interesting to me. It is simulating roads and conditions that no customer could even find or put their truck through. It has over 200-degree temperature changes that you simply could not find in the real world. It is going up essentially Pikes Peak towing a trailer with a full load. It is putting the engine through such extreme stress that it is something no engine could go through in the real world; it can only be done in a lap. To me, that is the most extreme and most exciting for us because it is pushing it to the absolute extreme limit." WHAT DO YOU EXPECT THE TRUCK TO DO IN BAJA? "For Baja, our main goal is to finish the race with the EcoBoost engine. This isn't an effort where we are taking a factory truck and are looking to dominate or win the race. We have a stock engine that is racing against 700-800 horsepower competitive trucks. Our main goal is to continue the testing of the EcoBoost engine and its durability, finish the race and finish testing out the durability of the engine. If we can finish this race with a 10-year-old-plus equivalent stock engine against all these highly modified engines and trucks, we will be thrilled. If we can just simply finish this race and cap off this extreme torture test, for us that will be 100-percent success." WHAT MAKES THE BAJA 1000 SUCH AN EXTREME TEST? "The 2010 Baja 1000 is a real extreme test this year. It is always a tough race, but this year it is going to be a true 1,000-mile race and a run down the Peninsula. In the past, it has been more of a figure-eight set up where the crews could get in and support the race vehicles at different points during the race. This year, the logistics will be a real challenge because it is a straight line and you won't be able to follow the truck throughout the race. The 1,000- mile distance plus the logistics of this year's race are going to make it exceptionally challenge for all the teams."